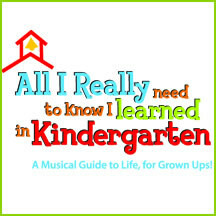 Based on Robert Fulghum's best-selling books, Kindergarten takes a funny, insightful, heartwarming look at what is profound in everyday life. This tightly woven adaptation has earned standing ovations from Singapore to Prague— from L.A. to D.C. It's an evening of theatrical storytelling in revue format, which celebrate our very existence, from the whimsy of childhood to the wisdom of old age. RICHARD DENNIS JOHNSON (Fred) Playhouse on Park debut. Favorite roles include Allenberry Playhouse: FDR (ANNIE). OpenStage of Harrisburg: Roy Cohn (ANGELS IN AMERICA PART II, PERESTROIKA). Last year he was seen as Weston (CURSE OF THE STARVING CLASS) and directed OpenStage’s educational series production of THE DIARY OF ANNE FRANK performed at The Whitaker Center in Harrisburg, PA. SInce retirement from the Federal Government Richard was recently contracted by the Department of Homeland Security to perform in an industrial production video (LONE WOLF) which is distributed to municipalities throughout the US as a training guide. Richard is from Harrisburg, PA and has been acting since his debut in HANSEL AND GRETEL in 1967. He has perfrormed in Europe, California, New York City and now here in beautiful Connecticut. Thank You PoP. SCOTT SCAFFIDI (Branislav) Playhouse on Park: Man (SIDE BY SIDE) NY Theatre: John (JOHN AND JEN) Geva Theatre Center: Ensemble (A CHORUS LINE and CHRISTMAS CAROL) Cohoes Music Hall: Sparky (FOREVER PLAID) Nazareth College: Baker (INTO THE WOODS). Scott is so excited to be returning to the Playhouse this season. He would like to thank his friends, family, and the wonderful people working on this show for always encouraging him, and giving him a reason, to laugh, play, and smile. Much Love! MEGAN SNYDER (Jill) Playhouse Debut! Tours - Shakespeare Theatre Company: Katherine (TAMING OF THE SHREW), Juliet (ROMEO & JULIET); Off-Broadway - 45th Street Theatre: Hope (ALMOST, MAINE); 4th Street Theatre: Orion (RIVERS CURRENT); St. Luke's Theatre: Feature (SORTA LOVE SONGS). Climb Theatre: Jen (SHATTERED). Regional - Myers Dinner Theatre: Babette (BEAUTY & THE BEAST); American Cabaret: Crow/Dancer (THE WIZ); Clowes Amphitheatre: Angelica (THE ROVER), Richard Kim (TWILIGHT, LA). Screen - Dancer (FRIENDS WITH BENEFITS); Attractive Girl (LOUIE). Thanks always to Lovey! DENISE WALKER (Kathleen) Playhouse On Park: Dora (EQUUS). Majestic Theater: Costanza (ENCHANTED APRIL); Hartford Stage: Schoolmarm/ Ensemble (OUR TOWN); Centennial Theater Festival: Maria (OUT OF ORDER); Warner Theatre: Grandma Kurnitz (LOST IN YONKERS); Clockwork Repertory: Helena (ALONE TOGETHER AGAIN), Karen (DINNER WITH FRIENDS); Acts Factory Players: Alice B. Toklas (GERTRUDE STEIN AND A COMPANION), Boo (LAST NIGHT OF BALLYHOO); Lincoln Theater: Delia (BEDROOM FARCE); Valley Repertory: Big Mama (CAT ON A HOT TIN ROOF), Halie (BURIED CHILD). Film work includes A BEAUTIFUL MIND, Mr. DEEDS, GERM OF A NEW INSANITY and MARCI X. Denise teaches voice at Trinity College and Miss Porter's.